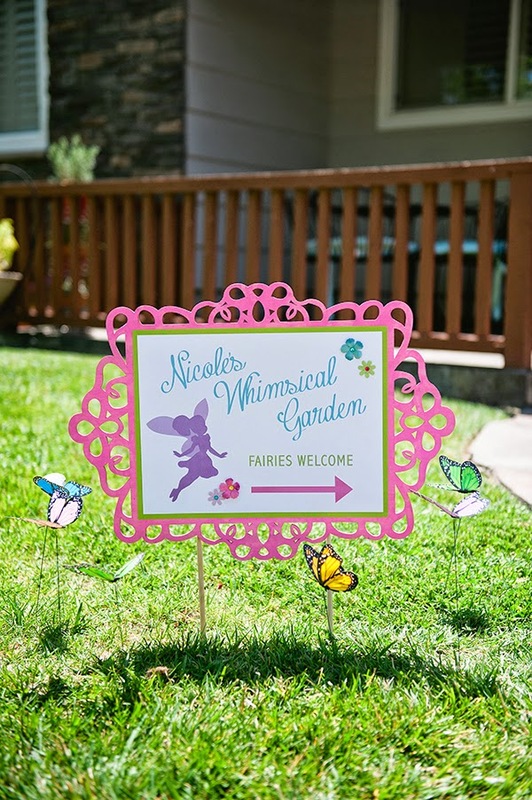 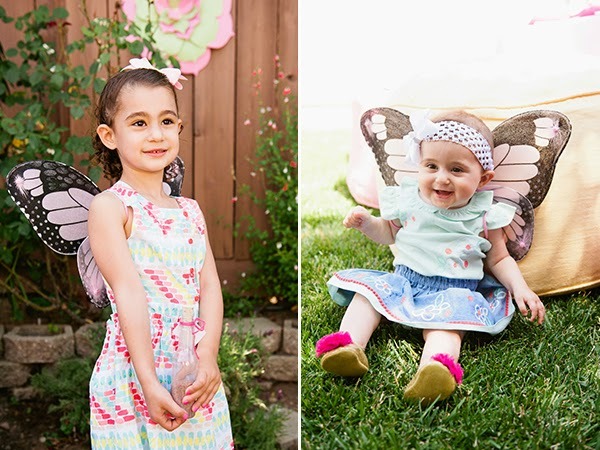 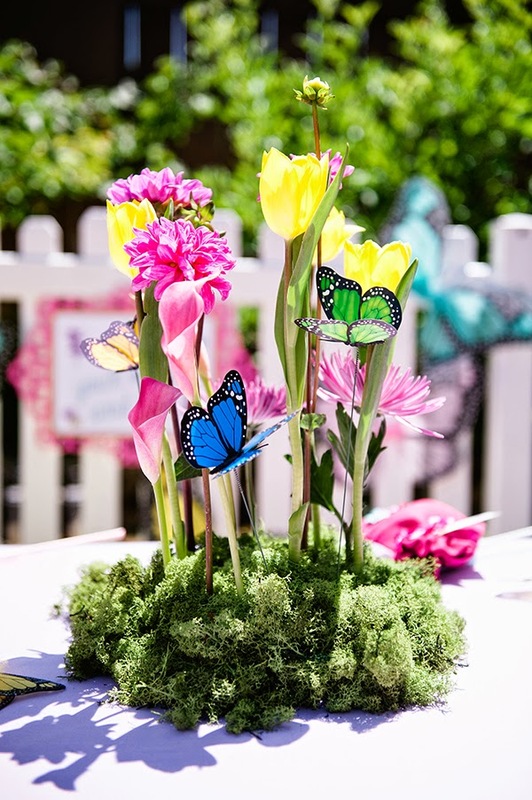 I'm very excited to announce that Nicole's Whimsical Fairy Garden Birthday has been featured on the Hostess With The Mostess blog! 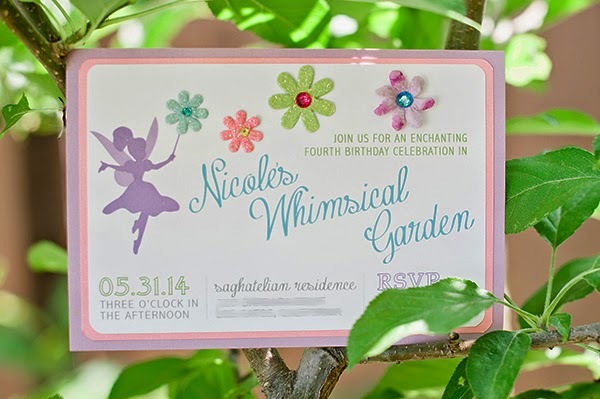 My friend Christine hired me to do the event design for her daughter Nicole's 4th birthday. 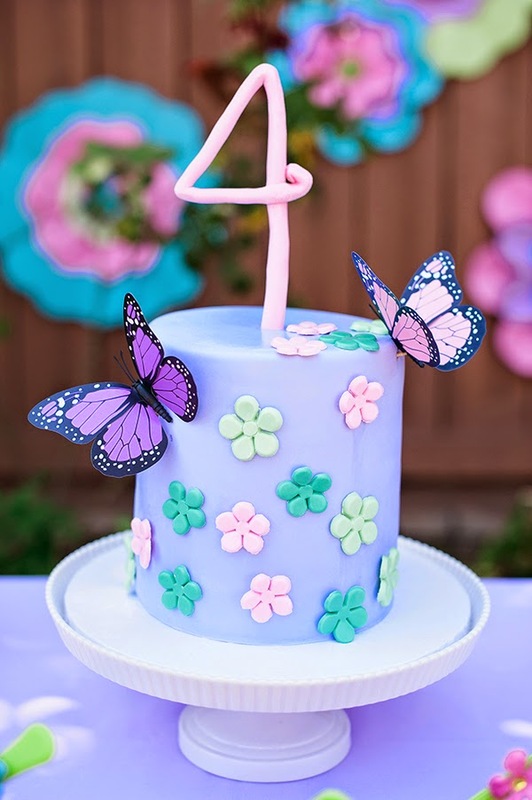 I had the privilege of designing her second and third birthday as well and couldn't wait to get started on this one. 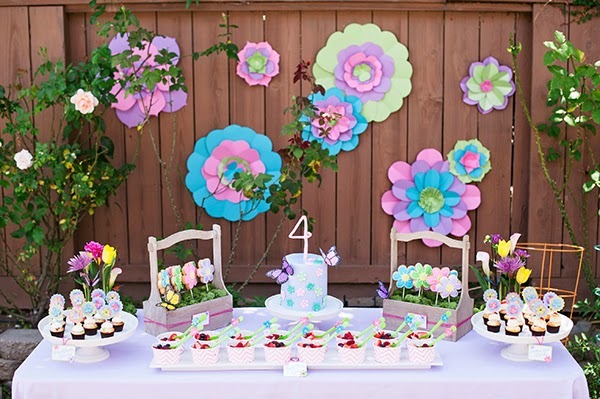 Since Nicole likes to play in the garden and play dress up, we thought having a whimsical garden themed birthday would be perfect. 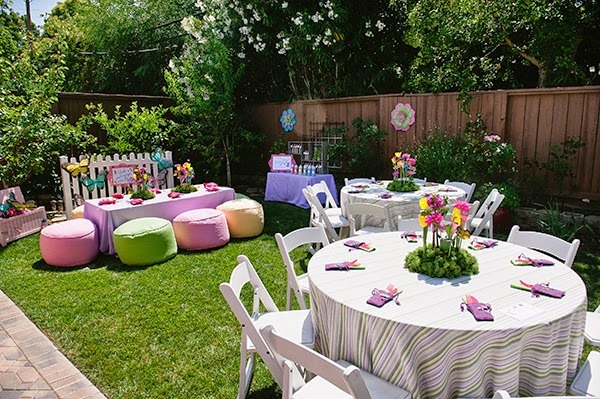 The party took place in the backyard, which was the perfect setting for this magical celebration. 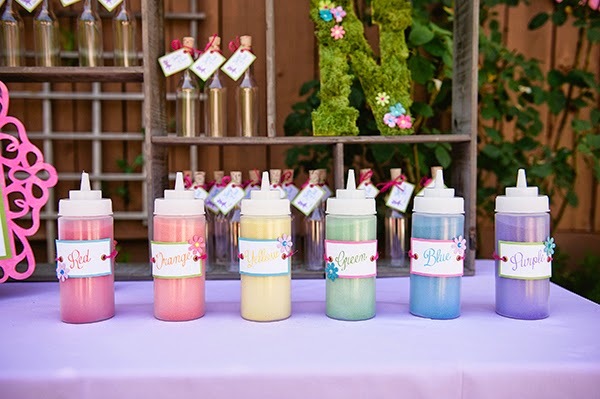 I kept the party fun and whimsical with a touch of rustic elements. 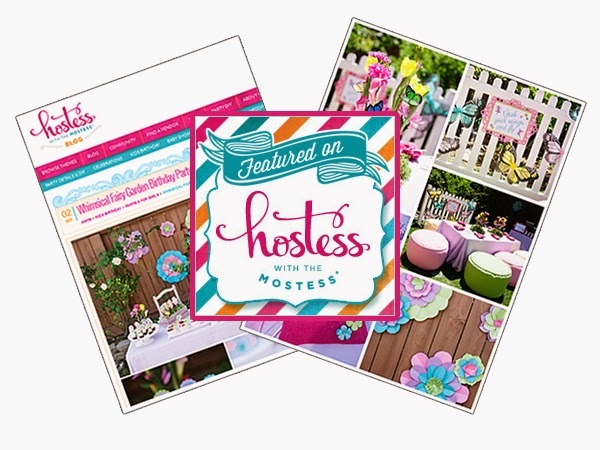 To see the feature on Hostess With The Mostess click here. 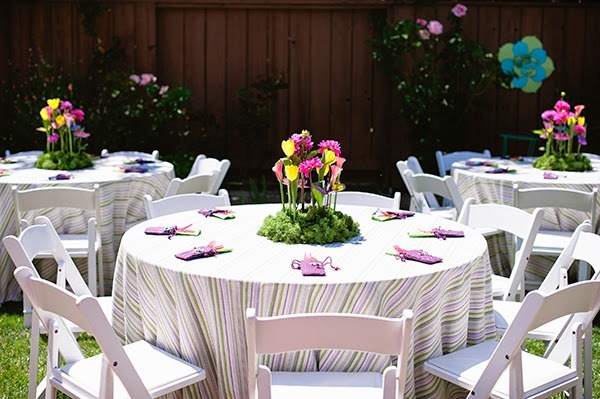 The dining tables were covered in colorful striped linens and paired with white wooden chairs. 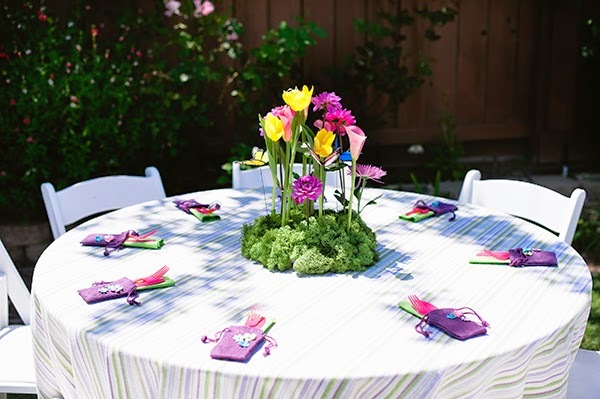 I wanted the centerpieces to look as if they were growing out of the table to give a whimsical feel. 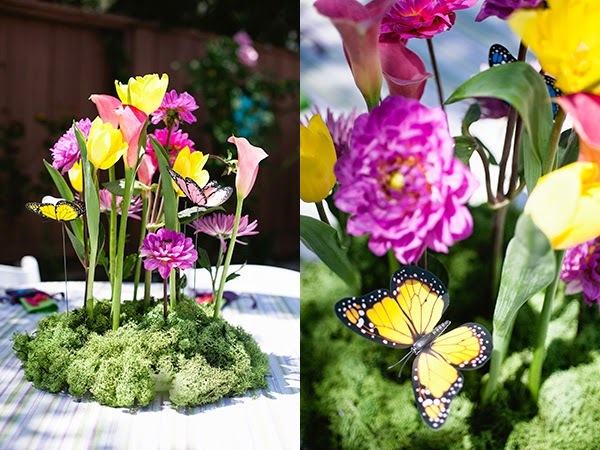 I had variety of colorful flowers sticking straight up out of the base which was covered in moss. 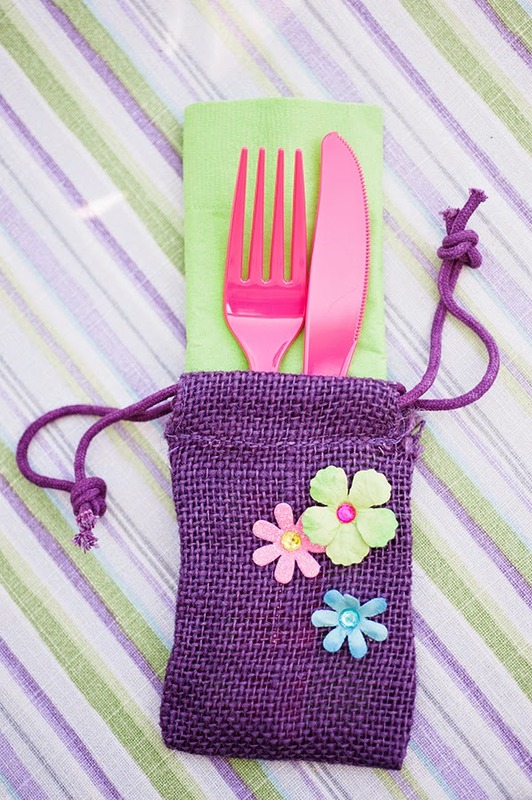 Each setting had a utensil packet that I made out of purple burlap favor bags and flower embellishments. 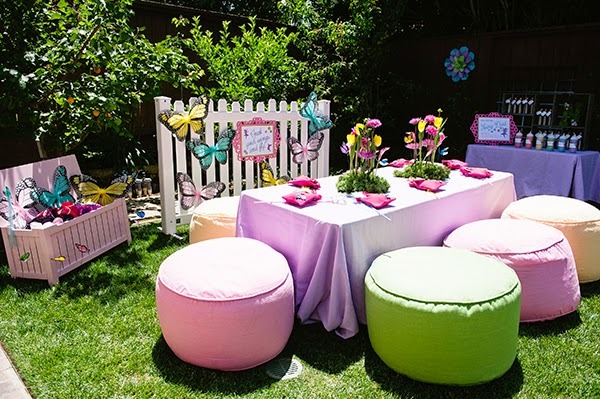 The kids section had to be one of my favorite elements of the whole party. 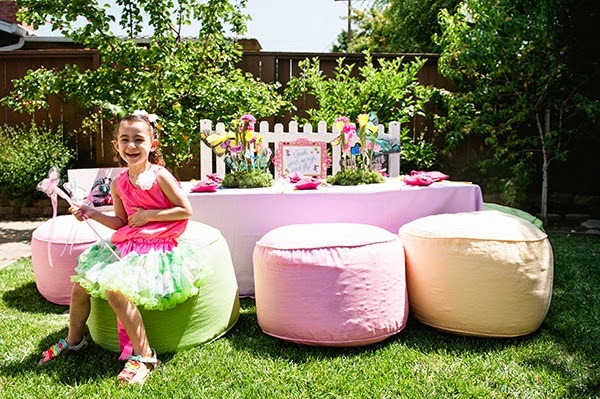 I rented bean bags in multiple colors for the kids to sit on. 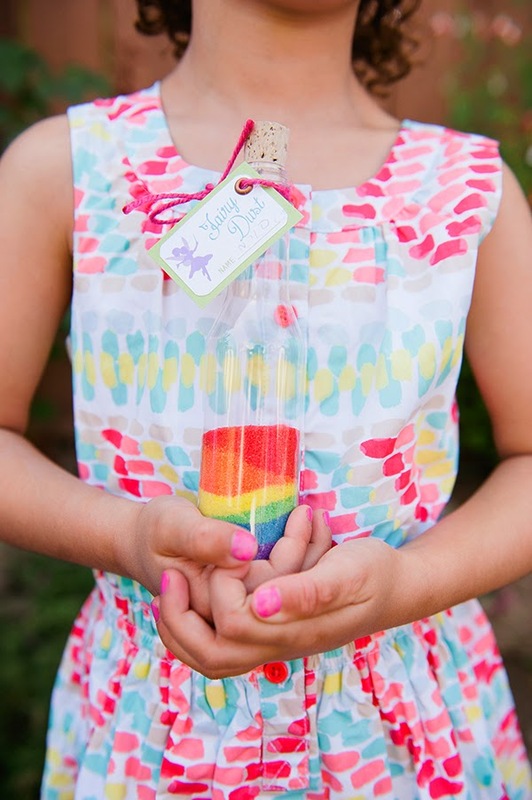 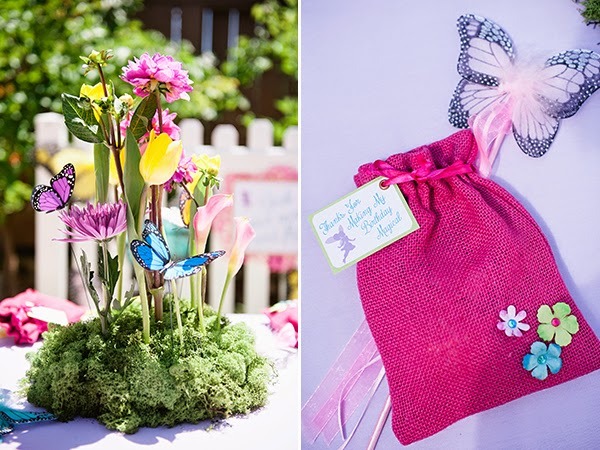 Each place setting had a pink burlap favor bag that was paired with a fairy wand. 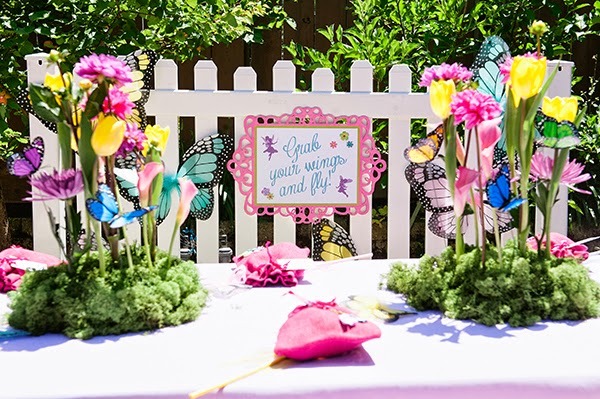 I rented a white picket fence to act as the backdrop for the kids table. 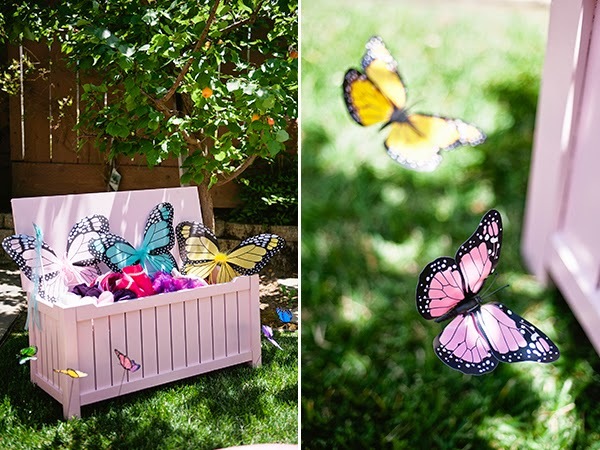 This also served as a way for me to display the fairy wings for the kids to grab and wear. 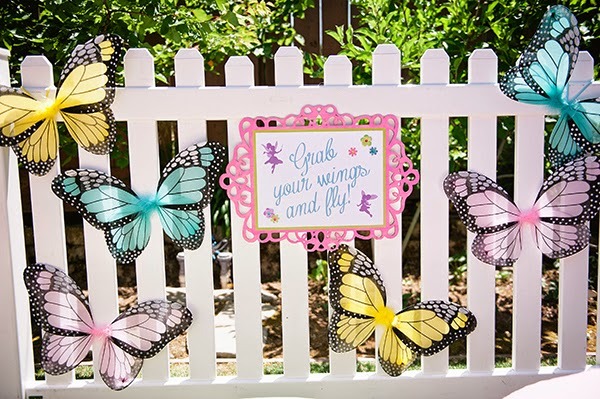 There was a sign attached to the fence that said “Grab your wings, and fly!”. 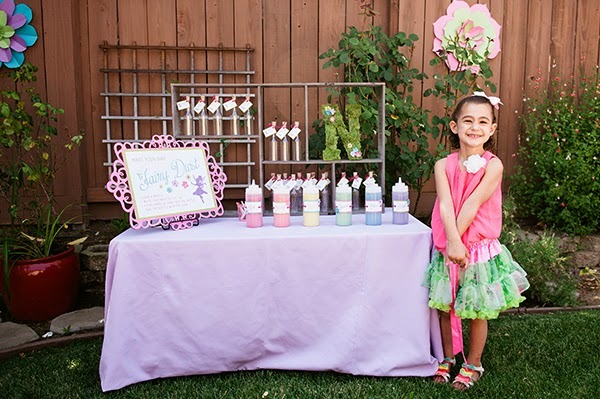 We also had a toy chest that was filled with more goodies for the kids to play dress-up. 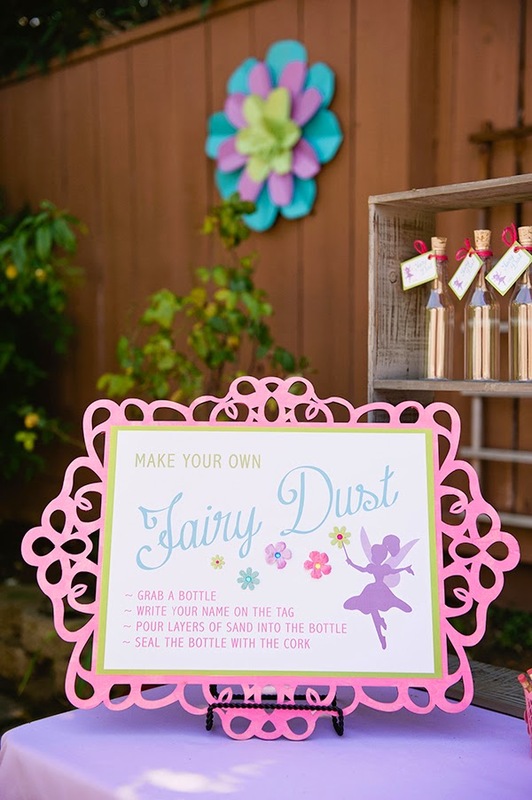 As an additional activity for the kids, I had a “Make your own fairy dust” station. 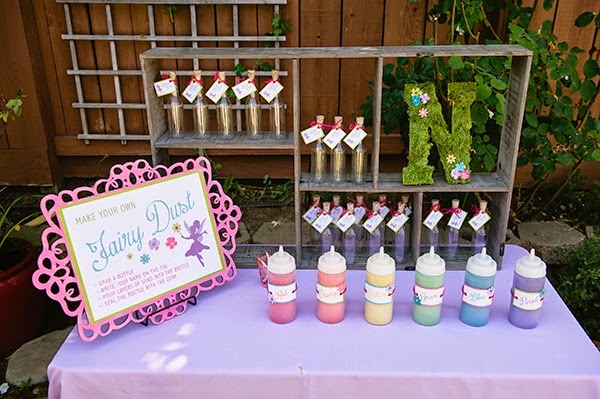 Each child had their own fairy dust bottle and was able to fill it with multiple layers of sand to create sand art. 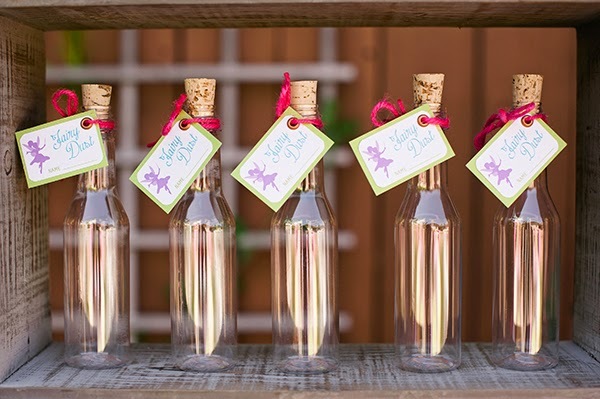 I displayed all the bottles on a wooden shelf which made for a nice backdrop to the table. 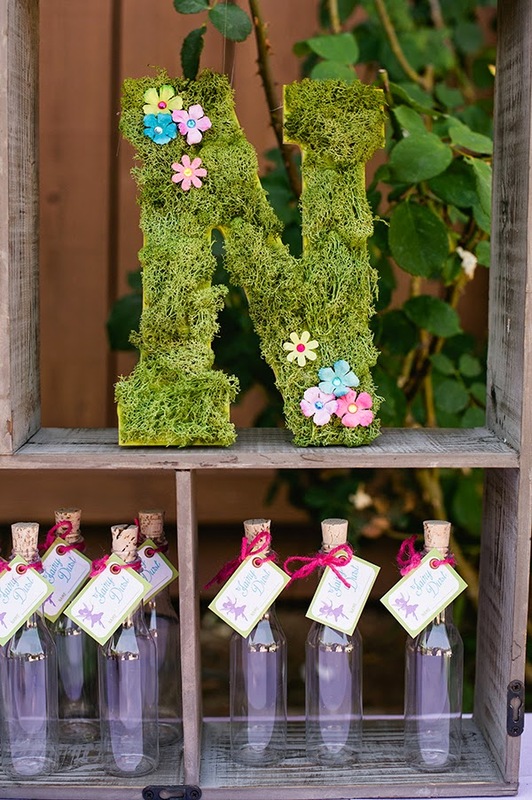 I also displayed a “N” for Nicole that I covered with moss and flowers. 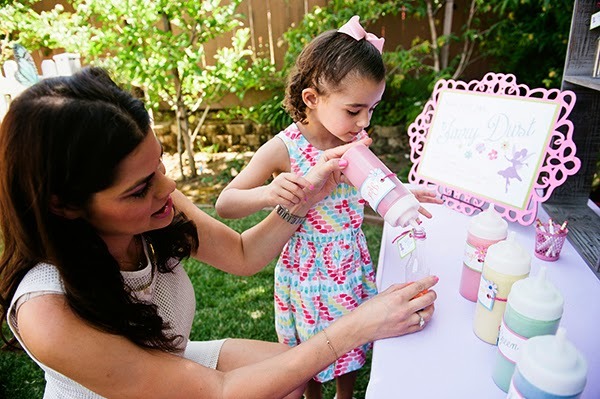 The kids had so much fun with this activity. 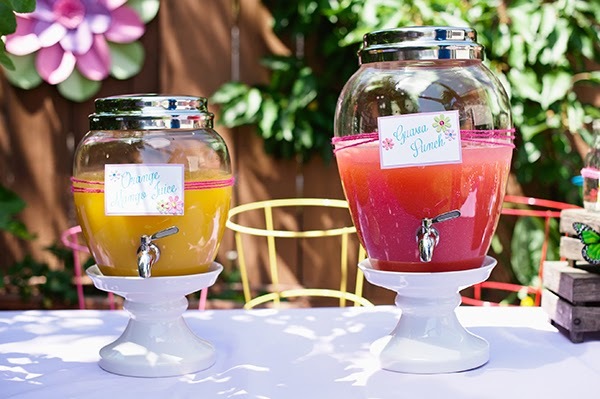 For the drink table, we had 2 different juices served in drink dispensers. 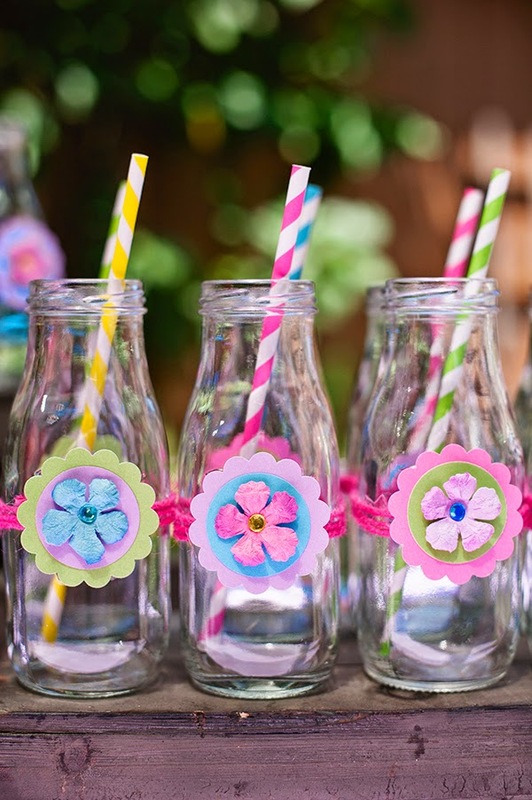 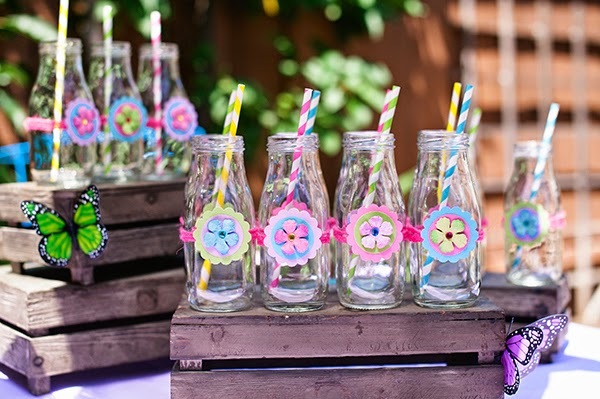 We used milk glasses for the cups that I had embellished with flowers and pink twine. 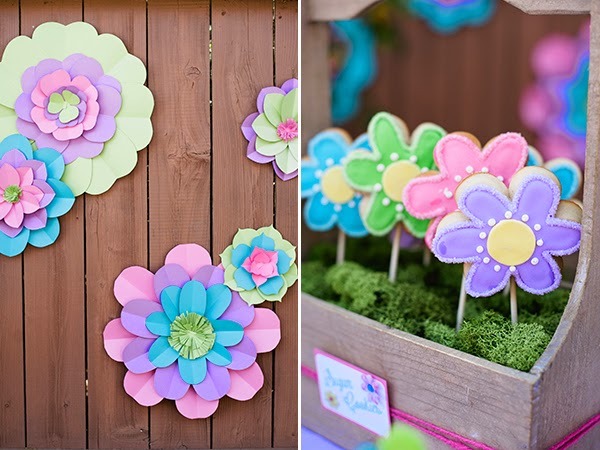 They were displayed at different heights using wooden crates. 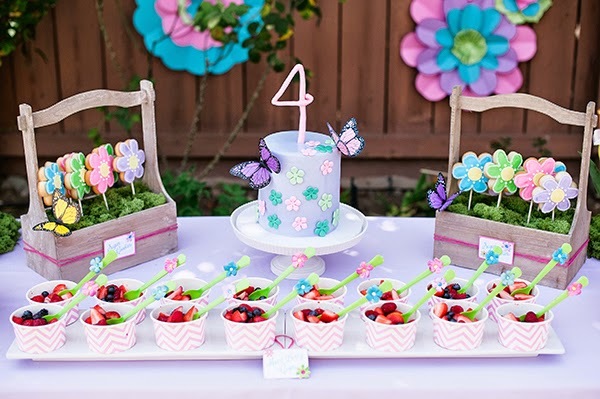 We carried on the theme to the dessert table. 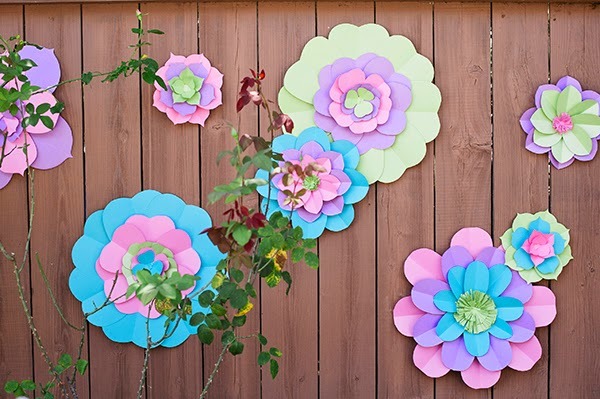 The backdrop had gigantic paper flowers that we attached to the fence. 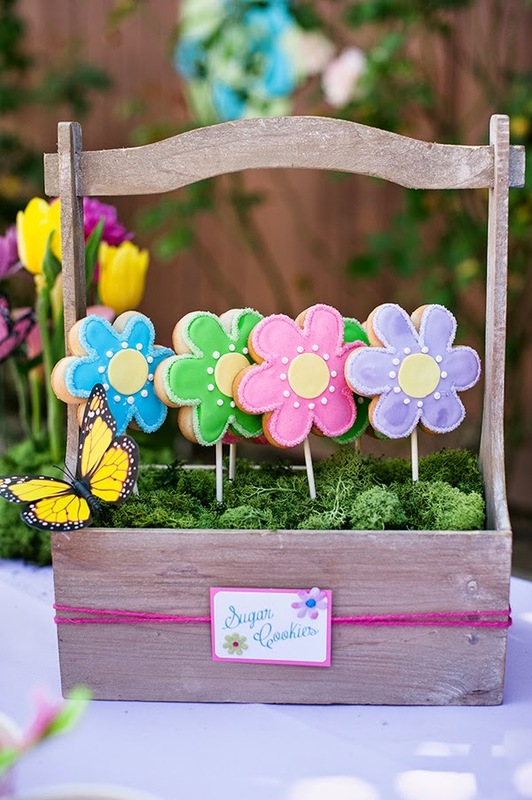 The flower sugar cookies were placed up right into wooden boxes to look as if they were growing. 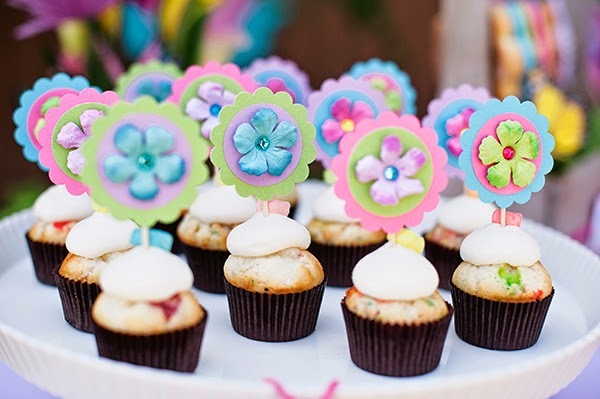 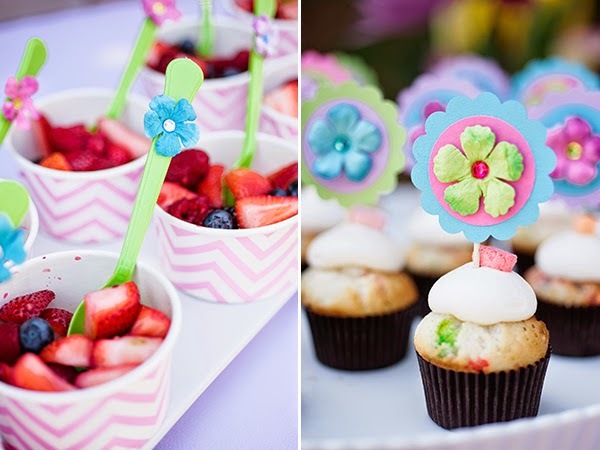 The flower theme continued through the cupcakes and cake.